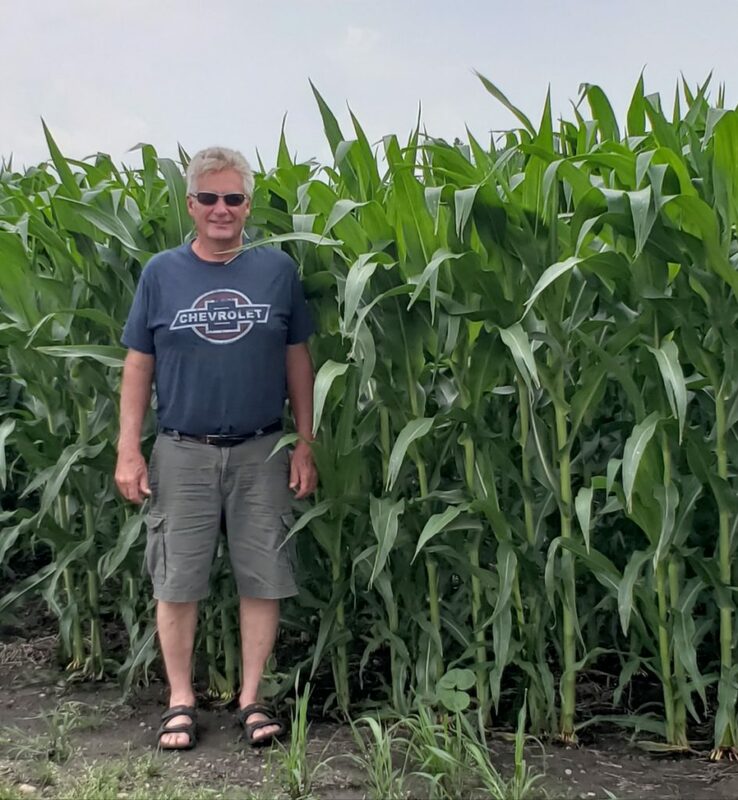 Well if you’ve read this post in the past few years you know that on the 4th of July, I love to follow the tradition that my Mom & Dad did and take a picture of the Daryl in the corn field to see how tall and (hopefully) how good it looks! So of course Daryl knows that the request is probably coming, so he’s ready when I ask . Yup, I love to keep the tradition going and both the corn and Daryl are looking good! 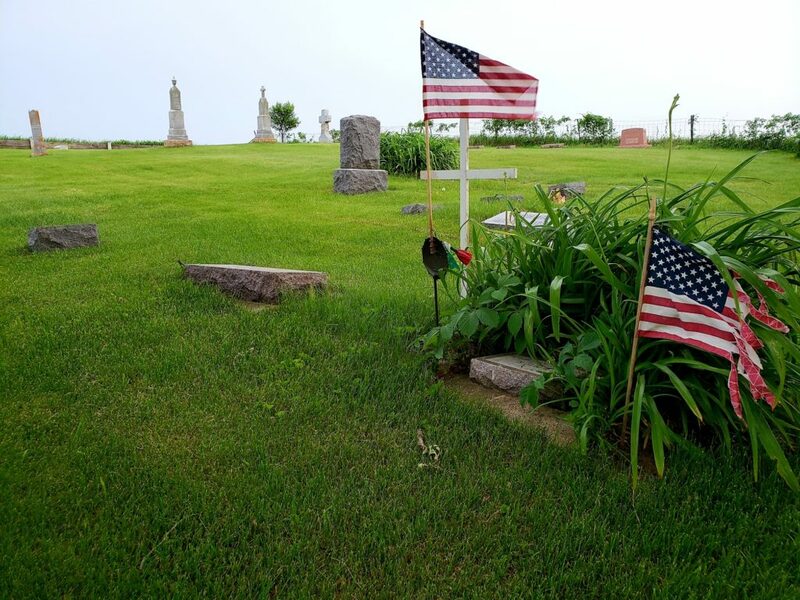 And when we baled hay the other day I took a quick picture of the small cemetery by our field. It just seemed an appropriate picture for today.